I guide you through an experience with tea + presence. You will tune into all of your senses, allowing yourself to anchor right into the moment. You will also be educated about the tea you are drinking (if in person). 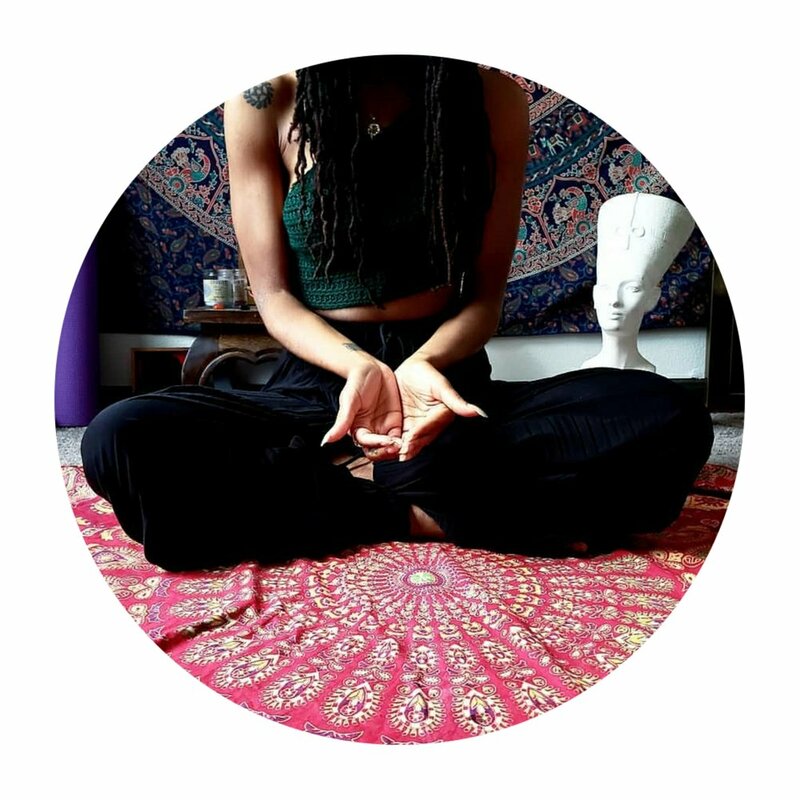 Hasta mudras are gestures of the hands that assist your connection with your physical health, psychological wellness + spiritual growth. Each gesture simply allows you to connect deeper to its core quality. Linking this practice with the breath creates an elevated experience. We will customize the chosen mudra to your personal intention for the session. I guide you through a meditation that coincides with the chosen mudra. Sitting silently, dope/high vibe music in the background, holding the mudra, my voice guiding you. The ultimate experience! The last part of this space is time for your to share + process your experience. Depending on what you need, this can be you talking + sharing or more conversational where I offer some intuitive guidance + insight. Schedule your sacred space below! *Yoga Off The Mat One on One in-person sessions take place in your home. Below are the surrounding Austin areas to which I travel!